Choosing the right evidence based alcohol treatment is important from the get-go. Many alcoholics only have one shot at recovery. If they relapse or fail the first time, there’s no telling when they may be willing to try again. The same goes for all types of drug and alcohol addictions. There are many instances where a drug addict with a substance abuse issue will try to quit, but fail because they choose the wrong substance abuse treatment. Getting help is not easy. According to the National Survey on Drug Use and Health (NSDUH), only 10.4% of the addicted population receive any type of treatment. Those who reach out struggled to do so. Since reaching out for help was already so hard, it’s vital to choose the right addiction treatment program. To make sure that you make the right choice from the start, carefully choose an evidence based alcohol treatment. This involves taking a look at the requirements of each addiction treatment. You should take time to collect all the information needed to make an informed decision. What Is Evidence Based Alcohol Treatment? When choosing a treatment option for drugs and alcohol, the first thing you should consider is the amount of evidence backing each treatment. Those who pick evidence-based alcohol treatment centers are much more likely to get the help that they need. They are more likely to succeed and less likely to relapse. Evidence based alcohol treatment programs are ones that have been tested. Scientists and medical professionals have looked at the effectiveness of the substance abuse treatment. The treatments have gone through clinical trials. Evidence-based treatment of alcoholism is also likely to have been peer-reviewed extensively. In all of the studies conducted, the treatments yielded positive outcomes. Chronic alcoholics were able to succeed and get sober. It shows just how effective they are. It’s important to point out that not all results will be lead to complete recoveries. Some alcoholics will fail despite how successful an evidence based practice may be. In these situations, it’s vital not to give up. Regardless of how successful a type of treatment may be, it may just not be for you. You may have to try out several different effective treatments to find one that works for your needs and lifestyle. What Type of Treatments Does the Evidence Support? Medically supervised withdrawal. There’s around-the-clock supervision for each patient’s medical condition. This ensures that they don’t struggle with severe withdrawals that could end up deadly. Medication to help with withdrawal symptoms. This treatment is also known as a medication-assisted treatment. It includes drugs like anticonvulsants, benzodiazepines, naltrexone, among many others. Support groups, like the 12 step programs. Cognitive behavioral therapy, or any treatment that involves behavioral health. There are no national standards, yet. Due to this reason, patients need to speak with the specialists at the recovery center to determine what each treatment facility offers. Compare notes to find out which addiction treatment programs may work best. Not all treatment facilities may follow evidence based approaches. Level 1– evidence derived from true experimental designs. This includes clinical trials with some form of randomization. Level 2-includes evidence that comes from quasi-experimental designs. These trials do not have any randomization in them at all. Level 3-usually recommendations made by professionals in the addiction community. They have seen the effectiveness of these evidence based alcohol treatments, although the treatments may not be scientifically tested. Level 4– includes evidence that comes from qualitative literature reviews. The addiction treatments are recommended in respectable publications in the addiction industry. Level 5-includes evidence that involves personal experiences from drug addicts. Level 1 evidence has the highest value. When seeking addiction treatment for substance abuse, it’s best to look for treatments with a lot of level 1 evidence. While treatment options with lots of level 5 evidence may still be effective, it’s important to assign a lesser value to these treatment plans. These approaches to drug addiction will yield more positive outcomes. If you’re unsure of the amount of evidence present in each type of treatment, speak to a specialist. Our healthcare providers can provide you with all the answers that you’ll need. We’ll walk you through the pros and cons of each evidence based practice. Every substance abuser has heard of a miracle method for dealing with a drug or alcohol addiction. The miracle might involve the use of herbs, or specific therapies. While others may boast of a way that works for them, avoid anecdotal evidence without any scientific backing. These treatments are not evidence based. Humans will try to find connections between things even when there aren’t any. It’s a common phenomena. They may cherry pick information and experiences that fit in with their beliefs. These personal biases do not mean that two people will yield the same results. Miracles that are backed up by anecdotal evidence may be a waste of time. They may not only be ineffective but may even be dangerous to your situation or medical condition. It may also be a colossal waste of your time and money. One of the most important components of dealing with alcohol abuse is to enroll in therapies. Counseling and therapies deal with psychological withdrawal symptoms. They also help build better habits and teach alcoholics how to identify triggers. These evidence based approaches to drug and alcohol addiction improves the patient’s mental health. Cognitive Behavioral Therapy (CBT)- This psychotherapeutic approach will retrain the brain and how it responds to addictive substances. It’s an ideal treatment approach for drug users with a substance abuse disorder as well. This treatment is effective in treating alcohol use disorder. It is one of the most recommended therapies of all time. Motivational Enhancement Therapy (MET)-This counseling approach increases an alcoholic’s inner motivation to quit. Surprisingly, if you believe in yourself, you are more likely to succeed. You have all the power over your addiction. In this type of therapy, patients are encouraged to view themselves in a positive manner. They develop techniques that help them believe in their own ability to quit. The Matrix Model-This type of treatment is a bit different. It uses education and encouragement to encourage drug users and alcoholics to seek and stay in recovery. Choosing the right type of therapy is one of the first steps you should make on the road to recovery. The right therapy will put you in the right state of mind to deal with an addiction. You don’t have to try to get sober alone. There are plenty of other Americans in the same position as yourself. In fact, 1 in 8 Americans is an alcoholic. 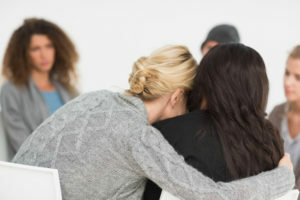 With so many people in the same situation, it shouldn’t be difficult to get support from others. 12 Step Facilitation Therapy and 12 Step Programs- Join other alcoholics or former alcoholics in their road to recovery. The meetings allow members to offer support to one another, and to discuss the best methods for getting sober and staying clean. The community reinforcement approach- This type of support group provides support to individuals in specific communities. There are a lot of components involved. One of the more distinctive components is providing recovering addicts with voucher schemes as a reward for remaining abstinent. Knowing whether these support groups are available in your area can make a world of a difference. If you’re not sure, don’t hesitate to contact one of our specialists. We can direct you to all the right resources that are in your area. Finding help has never been easier. 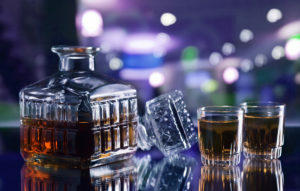 Studies have shown that some medicines can treat alcohol addiction. These medicines mainly deal with the withdrawal symptoms. However, they also work in different ways to make it easier for alcoholics to get sober. Most of these medications come in the form of a pill, although some come in the form of an injection. The doses vary based on each patient’s condition. The medications are also prescribed for both inpatient treatment programs and outpatient treatment programs. Each alcohol rehab will offer different types of medicines. If you’re struggling with an alcohol addiction, get help as soon as you can. You don’t have to wait until you’ve hit rock bottom. There are many different types of evidence-based alcohol treatment options available. To get more information on the kind of options that are available to you, contact one of our specialists. Will walk you through the various therapies available, as well as the alcohol detox process. Learn more about medications like methadone, Suboxone, and Vivitrol. We’ll also work with you to figure out which therapies work best for your situation. Don’t struggle with an alcohol addiction by yourself. Reach out to our staff for extra help. Take a tour of our rehab facility, and speak with one of our staff members. Many of them are recovering addicts themselves.